"After much contemplation and 19 years of marriage, Chris and I have decided to go our separate ways. Being fortunate enough to lead a life of service by working with those most vulnerable makes me well aware of life's blessings, even when faced with difficulties. While recognizing that this is a significant change, my children remain at the center of my life and their well-being is my top priority. It is in this spirit that I sincerely ask that their privacy and the privacy of our family be respected during this transition in our lives." The two were married in 1996, and live in Alpine, New Jersey with daughters Lola Simone, 12, and Zahra Savannah, 10. According to People, there were warning signs: "In 2010, they shot down claims that Rock had fathered another child out of wedlock. Three years earlier, the stars defended their 'happy' relationship amid divorce speculation." 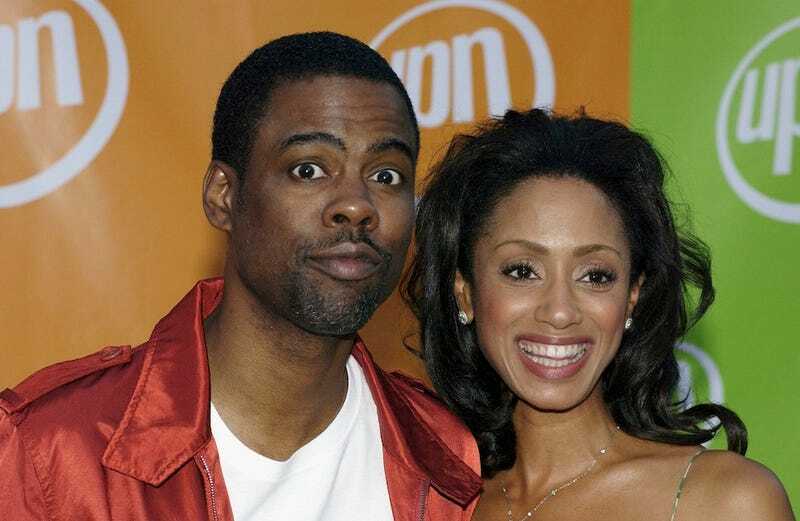 The Washington Post seems equally unsurprised by the announcement; their headline reads: "Chris Rock Announces Divorce—Shocking No One Who Has Ever Seen Him Do Stand-Up." In happier relationship news, Alicia Keys and Swizz Beatz just announced the birth of their second child! Genesis Ali was born on Saturday, December 27th, joining big brother Egypt Daoud, 4. Famous people do love an intense baby name. "I bought Justin Bieber's house… He had like this nook under the stairs which I didn't need so I covered it up. When I ran into him he was like 'What did you do with the nook? I used to go in there and play video games.' When I told him it was gone he was so upset, I didn't think this 20-year-old boy would even care!" K, well, now you know, Khloe! You can't COVER UP somebody's VIDEO GAME NOOK like it was NEVER EVEN THERE.